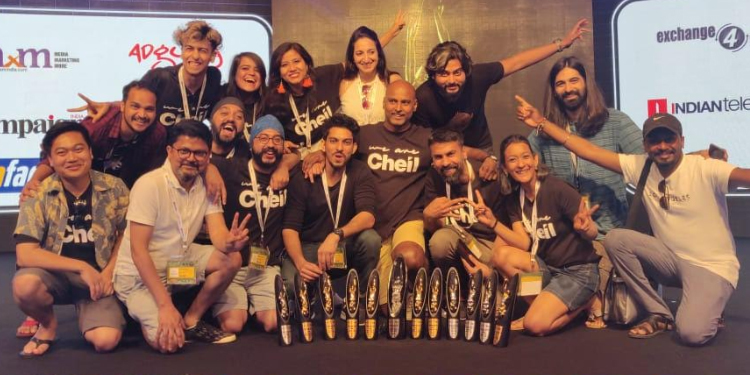 Delhi: Cheil WW India concluded Goa Fest 2019 with 8 Gold, 5 Silver and 7 Bronze metals in total and became the Branded Content Creative Agency of the year. Cheil India also became the Runners-up in Digital agency of the year and a close runner up in the Creative Company of the year. Commemorating 16 years of Cheil in India, the wins embrace our philosophy of creativity inspired by technology. Off the 20 metals won, 9 metals were for adidas #TheRealKashmir campaign, 7 metals were for Samsung Bixby #VoiceForever campaign, 2 for adidas #ConnectedbyColors campaign and 2 for adidas FIFA WORLD CUP campaign. Samsung India’s Bixby #VoiceForever campaign showcases the capabilities of Samsung’s digital voice assistant – Bixby. The film is inspired by the life of a Motor Neuron Disease (MND)/ALS patient Sonal (name changed) who agreed to let Samsung work on a pilot project to help preserve her voice forever for her daughter. #TheRealKashmir campaign for adidas is an emotional narrative that reinforces the story of Real Kashmir Football Club thereby effectuating positive change in the valley through sports.